One of the areas of writing which people find most appealing and most want to get involved with is writing for children. Many people also assume that it's easy, though anyone who's tried it can tell you that's not true! Writing children's books takes a very specific type of skill and even those writers who make a success of it generally find that they can write well only for specific age groups. It's a skill that requires real familiarity with children, an understanding of child psychology and, perhaps most importantly, a clear memory of what it felt like to be that age. Writing for very young children can be tricky because they learn to read at quite different stages of development, but one thing they all do first is enjoy being read to. First books should be designed to be read along with an adult. They should have just a few words to a page and should stick to topics which will be familiar. As a rule, children most enjoy reading about characters they can identify with, whether they're other kids or anthropomorphic animals. Use simple words and avoid contractions like can't or didn't. Keep your story short with a positive ending. Children's books aimed at new readers tend to rely very heavily on illustrations. It's great if you can provide your own, either personally or by collaborating with an artist of your acquaintance, but if you can't you should provide brief, clear instructions about what should appear on each picture page. As well as young children, it's worth considering that there are other kids learning to read for the first time at different ages. Some of these kids may struggle with problems like dyslexia, or may have other learning disorders which make understanding books difficult for them. There is quite a demand for books which are designed to appeal to older children but are written in very simple, beginners' language, and this can be a good market to get into if you know what you're doing. 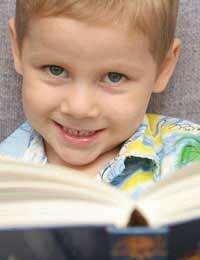 When children have just got the hang of reading by themselves they tend to go through a voracious period, wanting to read more and more. Providing the right children's books at this stage is very important as it can set their habits for a lifetime. This is a period of finding out about the world, so books relating to secrets and discovery are always popular. It's also a time when children are just beginning to think about moral issues, so books that pose simple moral dilemmas and challenges can help them to figure out where they stand in the world. It's important not to underestimate children in this age group. Whilst stories should be written in relatively simple language, it's okay to introduce the occasional more exotic word, provided that its meaning can be worked out from context. By the time they reach the age of about nine, children are starting to segregate what they read by gender, with relatively few books still appealing to all. As boys and girls start to experience life differently, children's books need to take account of this and aim to satisfy their different needs. Writing for children this age is also complicated by their growing awareness of adult lives and of what's going on in the wider world. This is the time to start introducing topics like family break-ups and wars. Plots should still be child-focused but happy endings are no longer obligatory. More important are endings which help children to reaffirm their sense of identity and develop positive feelings about how they can influence their circumstances. For instance, your heroine might not be able to keep her parents together, but she may be able to help make their split amicable and to make sure she still gets to spend time with both of them. As children get older and take on more adult characteristics, they can become a lot more difficult to write for. Teenagers are, for the most part, anxious to enter the adult world, including those parts of it that adults are keen to protect them from; and they also want respect for their moral and intellectual capacity, even if they still have a lot to learn. The successful writer of books for teenagers has to acknowledge this and deliver the goods in a context they can understand and learn from. Such a writer will also have to deal with the fact that teenagers are among the most cynical and critical readers of all. Writing for children is no easy task, but it can be highly rewarding. If you get it right, you can transform lives.